A menu is located on the menu bar and contains a list of related commands. MainMenu is the container for the Menu structure of the form and menus are made of MenuItem objects that represent individual parts of a menu. You can create a main menu object on your form using the MainMenu control. 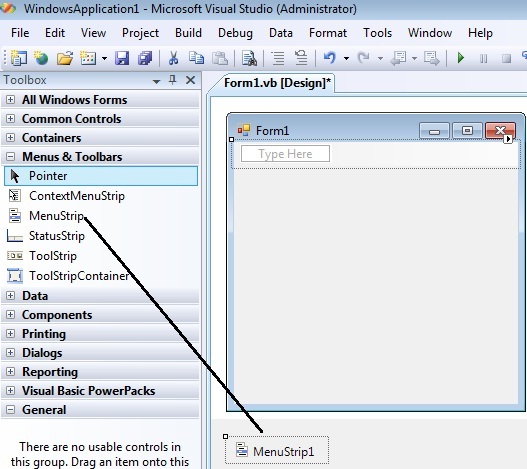 The following picture shows how to drag the Menustrip Object to the Form. After drag the Menustrip on your form you can directly create the menu items by type a value into the "Type Here" box on the menubar part of your form. 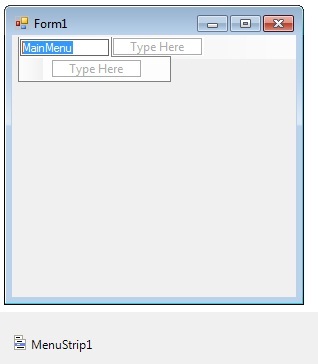 From the following picture you can understand how to create each menu items on mainmenu Object. If you need a separator bar , right click on your menu then go to insert->Separator. After creating the Menu on the form , you have to double click on each menu item and write the programs there depends on your requirements. 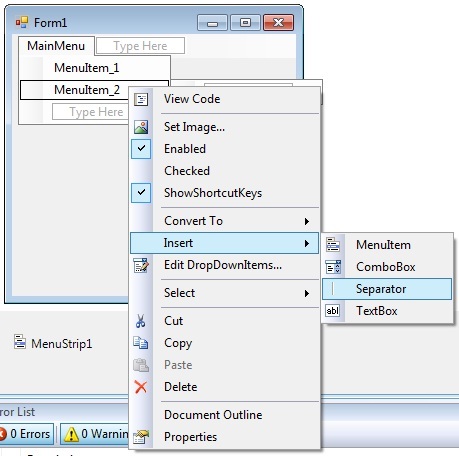 The following Vb.Net program shows how to show a messagebox when clicking a menu item.